The Non-Surgical Cure for Fibroid Tumors. Share the post "Uterine Fibroid Embolization"
Uterine fibroid embolization has existed as a medical procedure since 1975. In gynecology it was used to reduce bleeding during uterine surgery. 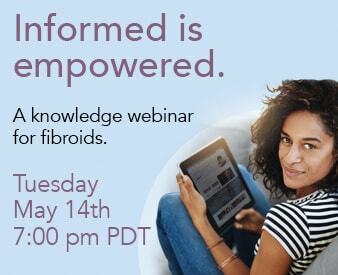 Founding members of the Fibroid Treatment Collective noticed another important effect. It shrank fibroids. The promise of an effective, non-invasive treatment led to research, trials and medical acceptance. Today more than several hundred thousand women world-wide have found relief with this safe, simple procedure. The Fibroid Treatment Collective performed the very first fibroid embolization in America, and has authored many important articles on the subject. Uterine Fibroid Embolization has an overall success rate of 94%. This means 94% of all patients who had the procedure experienced relief from their symptoms and significant fibroid shrinkage. Please call us to discuss the benefits and risks of embolization. Visual animation explaining fibroids and a uterine fibroid embolization procedure. Before fibroid embolization, every patient is thoroughly evaluated to ensure the procedure is appropriate for them. This includes a review of medical history, general physical condition, and any other information pertinent to the case. Next, the patient undergoes complete pelvic imaging, either ultrasound or MRI, to measure the size of the uterus and to look for any other conditions that might be affecting their health. After embolization, patients are evaluated within the first week, again at six weeks and once more at six months to see how the fibroids are shrinking. Uterine Artery Embolization is a non-invasive, non-surgical, out-patient procedure. It is performed under local anesthetic and sedation and has a very quick recovery time. Most patients are back at work in a few days. A very informative look at a real patient’s embolization from start to finish. An incision, the size of a freckle, is made in your upper thigh. A tiny catheter is inserted through this incision and into the femoral artery. Using x-ray guidance, a trained physician locates the arteries which supply blood to each fibroid. Microscopic inert particles are injected into the vessels, blocking blood supply that nourishes the fibroid. Without a steady blood supply, the fibroids begin to dwindle and shrink. Embolization basically cures fibroids by starving them.